The impact of guest posting on businesses and the relevance of it in today’s world has been one that’s attracted much debate. But it’s widely agreed upon that guest posting (if done “ethically”) still works. Even though Matt Cutts has claimed that “guest posting is done”, he was only referring to the spammy practice of gaining quick and dirty links for your website. Helping you earn backlinks to your website that help improve organic search rankings. Bringing in referral traffic to your website from other publications and blogs. Introducing you and/or your brand to a completely new audience. However, guest blogging is hard work, and it’s definitely not something that you can do overnight. A guest blogging campaign requires you to plan ahead and needs regular, persistent effort. If you’re wondering how you can launch and execute a successful guest blogging campaign, worry not. This blog post will help you streamline your process for your business’ guest blogging project. Here’s our step-by-step guide to creating a scalable guest posting strategy. But before that, let’s talk about something important. Goals: Write down the goals you intend to achieve with the launch of this project. Are you looking to rank in the top spot for a few industry-related keywords that have a high search volume? 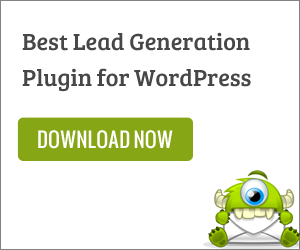 Are you looking to get more referral traffic for your business from this campaign? Define your goals first so you can strategize and plan ahead accordingly. You do not want to find yourself in a position where you’ve worked for months to suddenly find out that your goals were ill-defined and the returns from the campaign weren’t great. Timeline: Know exactly when you want to launch and end your campaign before you set out to do it. You’re going to have to work on other projects and not having this defined before you start with your project might leave you putting things off for a “later” that will never come. When you’re thinking of doing things at scale, you’ll have to plan ahead and follow a process. The first step of your guest posting process should always be prospecting, since that’s where it all begins. Build a list of 1000 marketers/blog-owners. Make sure you record their first name, company name, and email ID (you’ll see how this helps in just a bit). You can use a tool like Buzzstream to get the job done effectively. Reach out to each batch of prospects at the beginning of the month. Out of your 100 emails, you’re likely going to get 7-12 responses. The response rate for cold emails can be as bad as 1.7% or as good as 29%, but from our experience, it’s usually between 7%-9% for outreach emails for guest post opportunities. You’re also going to get responses saying they’re not interested in collaborating with you, so keep that in mind. This leaves you with 6-9 qualified prospects per batch. 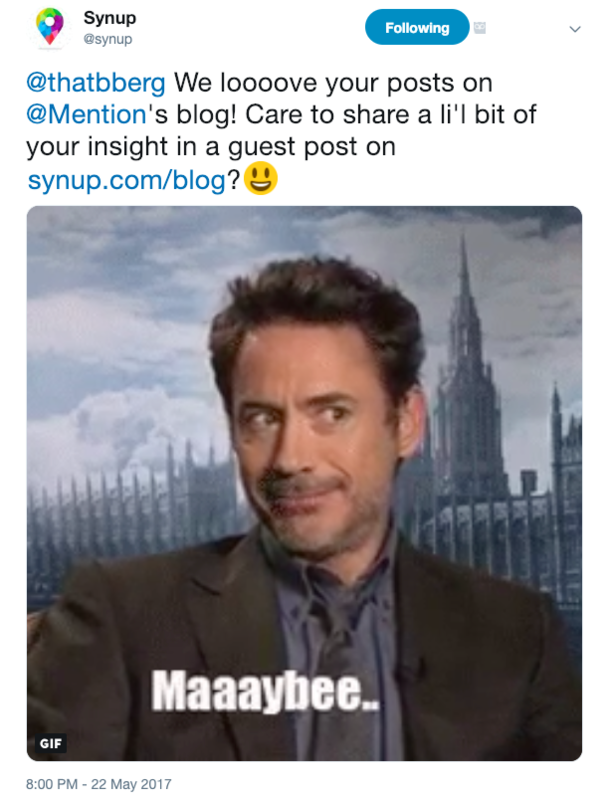 This means around 75 guest posts in 10 months for your team, and this should be just about enough to start ranking really well for 5 keywords/search terms that you’re targeting. This will also help your DA go up, which in turn will help your organic search rankings as well. While different people do it differently, the most effective way to make sure that things are streamlined is to come up with a list of content topics that you want to write on your guest posts, before you do your outreach. That way, you know what you’re going to be writing about, and you can even add the content topics to your outreach email and ask them to pick one that they like the most. An email like this one usually gets you around a 12% response rate, but feel free to change it up a bit to fit your campaign’s needs best. After you receive a response from your prospects, all that remains is penning your guest post down and sending it over for publishing. An alternative to email outreach (if time is not a big concern for you and if you like to experiment) is using Twitter to get the job done. While it is extremely difficult to do this at scale, per se, Twitter allows you to get a much better response rate from your outreach. Check out this personalized tweet that we sent to one prospect when we were running another outreach campaign. While sending these tweets with personalized GIFs took us a lot more time, the response rate we got was a phenomenal 35%. This is always an option, but remember, it’s a little bit more effort. 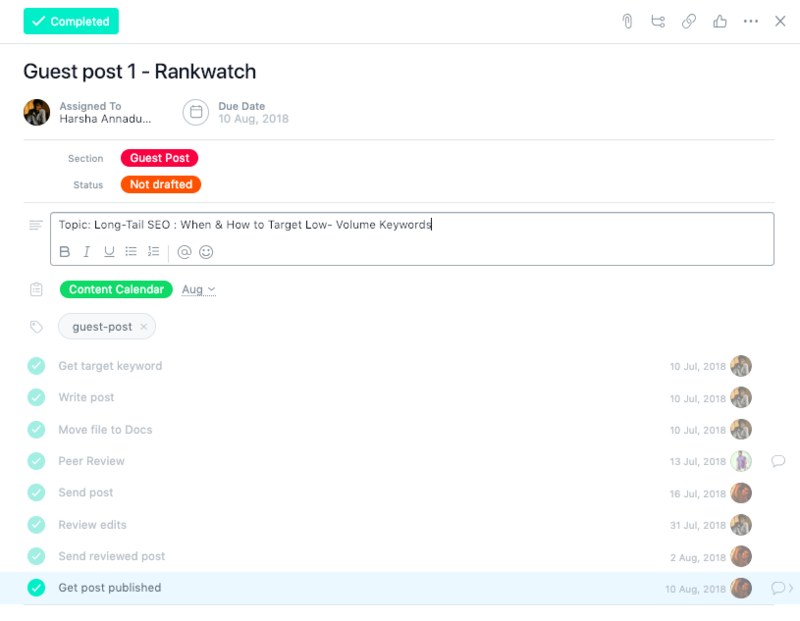 Once you receive the responses giving you the green signal for getting started with your guest posts, you need to keep track of your progress with each blog/publication. That’s where an editorial calendar comes in. Here’s how we got 10 guest posts done in the month of July 2018. 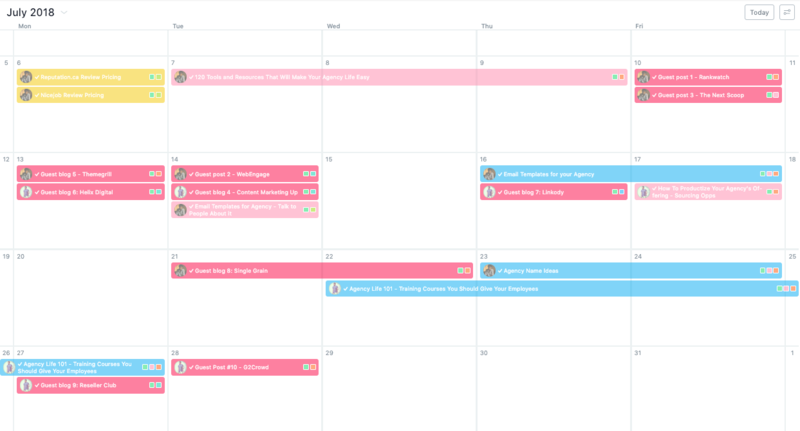 We use Asana for maintaining our editorial calendar, but you can use any project management software of your choice to get the job done. Having a template set of sub-tasks helps streamline the process greatly. Once you’re done writing the post, get someone from your team to edit it internally and send it over to the respective publication. More often than not, the publication will suggest edits that you’ll have to review. Another hiccup that you might face is a delay in responses from the respective website’s point-of-contact. Make sure that you follow up regularly until they put it up online. Ensure that you always get a do-follow backlink for your target keywords, especially if your goal is to get backlinks through this campaign. The norm is to have at least one do-follow link from your guest posts. Also, create a concise, cleverly written author bio that the website can use when they publish the blog post. Only one last step remains after you get your guest post published! After your guest post goes live, promote your content on social media, and urge the host website to promote it on their social profiles as well. 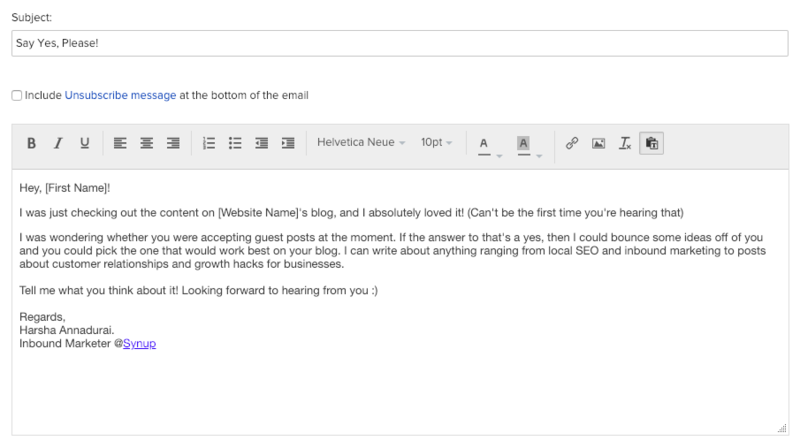 You can even ask them to plug your blog post into their blog newsletter to maximize reach. Promoting your guest posts also shows people that you’re proactively working on writing about your industry and sharing your knowledge. Getting people to see this is a great first step in establishing yourself as a thought leader in your industry. Make sure that you have a focused backlink strategy. Don’t try getting backlinks for too many keywords from your guest posting campaign – you’ll spread yourself too thin if you do this (sidenote: been there, done that). Earning backlinks for the same few keyword phrases consistently will help you rank better for those focus keywords. For example, we are currently running a campaign for fetching backlinks from the anchor text “local SEO” to our website, Local SEO Checklist, and we’ve been noticing an improvement in the rankings for the website for that search term, since then. We weren’t consistently focusing on that particular search term before that, and as a result, we didn’t see positive results back then. Track your results. Make sure that you use a dedicated rank tracking software like Unamo or a tool like Synup that has a built-in search engine rank tracking feature. That’s it! This should give you all that you need to create a scalable guest posting strategy for your business. What do you think about this post? Let us know in the comments below.